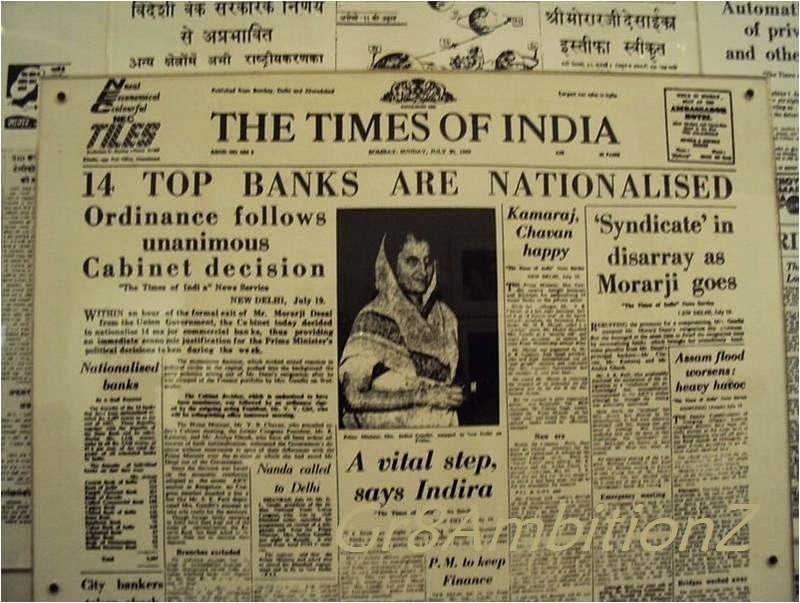 Nationalized Banks are celebrating Golden Jubilee (50 Years) today. 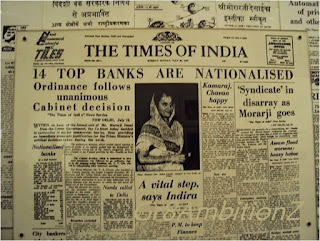 It was on this day (19th July 1969) the Indira Gandhi-led Congress government nationalized 14 commercial banks, which are having deposits of over 50 crores. There are two reasons for the nationalization. 1st Reason : The unpredictable manner in which these banks functioned as private entities. There were 361 private banks which failed between 1947 and 1955, translating to an average of over 40 banks per year resulting in depositors losing all their money. 2nd Reason : These were seen as catering to large industries and business houses, ignoring the agriculture sector. The main aim of this nationalization is to serve the rural economy by expanding the branch network in rural areas.As a result of nationalization, 85 percent of the banking business in terms of deposits was brought under public control. Thus, 20 private sector commercial banks were nationalized and over 90 percent of banking activity in the country was brought under the public sector and it brought down the inequalities of income and wealth and to ensure greater social justice. The nationalization of July 1969 and April 1980 was a unique phenomenon, different from that of nationalization of the RBI in 1949 or the nationalization of Imperial bank of India in 1955, as these were very modest having little socio-economic change in the country.